Delicious meat prizes for dogs. Awards that your dog will love. 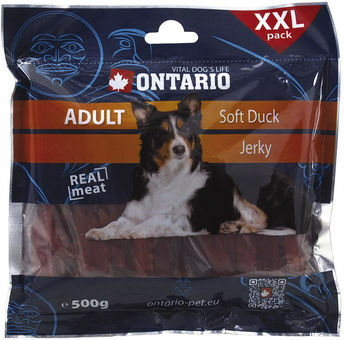 Ingredients: duck breast, glycerol, salt. Guaranteed analysis: crude protein 48%, crude fat 1.5%, crude fiber 1.0%, crude ash 4.8%, humidity 35%.